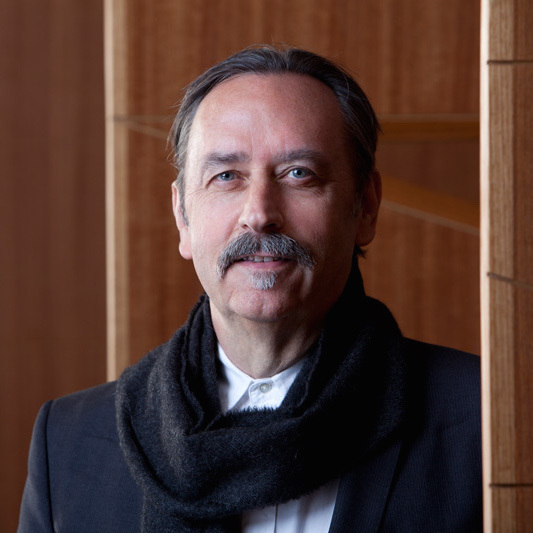 Professor Donald Bates is the chair of Architectural Design within the Melbourne School of Design at University of Melbourne and the founder and director of LAB Architecture Studio, the highly regarded practice behind the design of Melbourne’s landmark Federation Square. He has been widely published and has vast global experience having taught across six continents and sat on juries for international architecture prizes. Professor Donald Bates graduated with Bachelor of Architecture from University of Houston and completed his Master of Architecture at Cranbrook Academy of Art. He was then invited to London to direct studies at the Architectural Association School of Architecture in 1983 and then worked as an associate to Daniel Libeskind on the Jewish Museum Berlin in 1989. In 1990 he established LoPSiA (Laboratory of Primary Studies in Architecture), a research school with campuses in Paris and Unité d’Habitation of Le Corbusier in Briey, France. In 1994, he founded LAB Architecture Studio in partnership with Peter Davidson.